Did Amazon’s Great Earnings Save the Markets or Doom Them? That’s what Jeff Bezos is worth this morning as Amazon (AMZN) crushed earnings last night with $51Bn in sales for Q1, up 43% ($16Bn) from Q1 last year. And Q1 is usually AMZN’s slowest quarter so we’re taking about possibly a $300Bn year, which would make Amazon approximately 1/10th of all US Retail Sales and growing at 43% means we are 7 years away (do the math) from AMZN putting every other retailer out of business. Operating income was $1.927Bn, which seems good but not when you consider $3Bn of that $2Bn in profit came from cloud services and the rest of the business lost $1Bn. 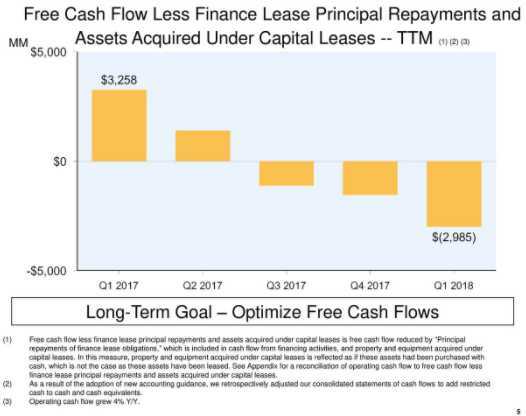 In fact, inclusive free cash flow was NEGATIVE $3Bn but let’s not cloud the Amazon celebration with ugly facts like those. I didn’t make this up – it’s their own slide! Still, $4Bn of that $3Bn “loss” came from leasing payments (cloud computers are expensive) and they are kind of an asset – until the next generation of computers comes out in 18 months. One thing Amazon will be doing to close the gap is raising the fees on 100M Prime Members by $20, which will drop another $2Bn to the bottom line but it won’t help much if they are burning $3Bn a quarter. Speaking of slides, that’s what the Retail ETF (XRT) and the rest of retailers are likely to do if Amazon’s gains turn out to be Retail’s losses. I just ordered $60 worth of Nespresso pods this morning on Amazon despite the fact I was right in a grocery store yesterday. Amazon is very good at getting you into the habit of buying things once you let them know what your preference is and now they are delivering things to the trunk of your car if you want! We don’t have a lot of Retailers in our portfolios and we went over the ones we do like in yesterday’s Live Trading Webinar (replay available here). I imagine we’ll see some real bargains popping up over the next couple of weeks and we’re still in the middle of the end for Toys R Us and Sears though Toys R Us is more like the end of the end now. Retail has had a good run. Wells, Fargo and Company raised $300,000 to start a bank in 1852 but the gold-based California banking system collapsed in 1855 but Wells-Fargo survived to foreclose on many, many stores and, as a surviving bank – they had a good reputation so they consolidated the businesses, merged it with their mail services (they were part-owners of the pony express) and created the Wells-Fargo Wagon – the World’s first catalog delivery service. Wells-Fargo was supplanted by the Sears Catalog in the early 1900s and now Sears (SHLD), who were the biggest company in America in the 70s are now on their last legs and now it is Amazon’s turn to dominate the Universe, as we know it – at the moment. But “There are more things in heaven and earth than are dreamt of in our philosophy” and Amazon is not without competion – notably from China’s AliBaba, who will announce earnings next week but are a huge bargain compared to AMZN at $238/share for a company earning $10/share. That’s a ple of 24 vs AMZN’s p/e of 124. Bidu (BIDU) is another Chinese mega-corp Amazon has to worry about and they also crushed earnings with a 31% gain over last year and $728M in profits. Most notable about Bidu is that they have just raised $2.25Bn for their version of Prime Video/Netflix called iQIYI (which rolls off the toungue if you’re Chinese, I guess) but they are also putting together an AI system that will, in effect, run Beijing (Hollywood writers can start submitting Doomsday scripts on Monday) through Bidu’s Quantum Computing Research Lab. 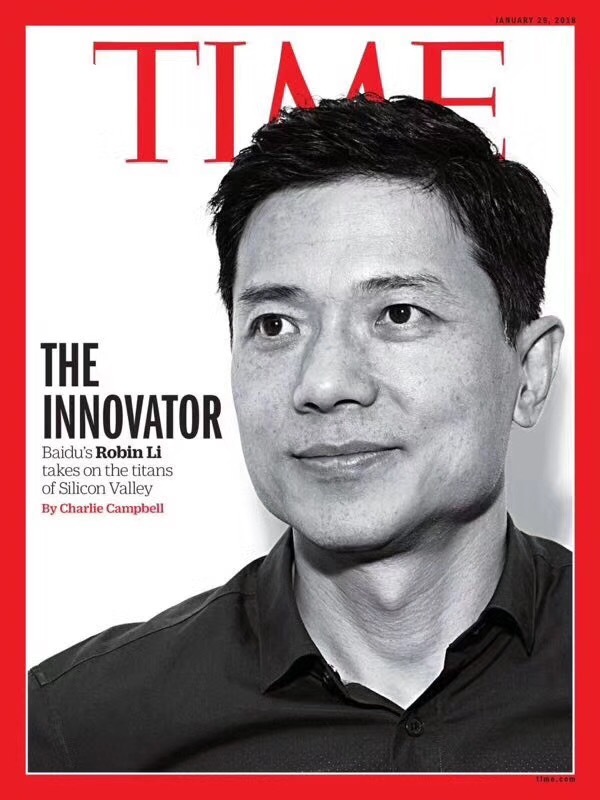 Most Americans don’t know who Robin Li is but the tagline from this Time cover story is that “Robin Li is helping China WIN the 21st Century.” BIDU has 80% of the Chinese Search Market and are the World’s 4th most heavily-trafficked web site. Bidu has been the champion of Chinese innovation in the way neither Amazon or Google have managed and 1/3 of the tech “unicorns” (companies valued over $1Bn pre-IPO) are Chinese now. China’s State Council announced the next artificial intelligence (AI) development plan on July 20, 2016, which stated that China will become “the most advanced AI innovation center in the world” before 2030 and China’s core AI industry will see a production value of $148 billion. “No one in China takes this challenge (AI) more seriously than Robin Li,” said Time Asia. Baidu, whose first-quarter revenue in 2017 was $9Bn, invested nearly $ 1.2Bn in research and development, and most of it was invested in AI, according to the tech giant’s earnings report. 2030 is pretty much just a decade away and, if AMZN doesn’t want to go the way of the Wells Fargo Wagon or, even worse, Sears! 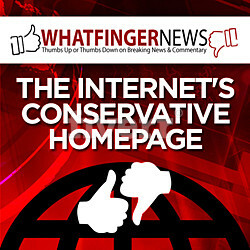 – they’d better not get too complacent about their current position. What Amazon is doing at the moment is destroying the $5Tn US Retail Sector (1/4 of our economy) by providing a money-losing service their brick-and-mortar competitors can’t match and it may all be fun and games to drive the backbone of the US economy out of business but 4.8M Americans directly work in Retail Sales making an average of $11.24/hr so that’s $115Bn in wages and wages are about 1/3 of the cost of a retailer so figure $330Bn including rents and such are up for grabs and Amazon has been very good at grabbing it. So far, it’s all good as AMZN is in America and the jobs they are destroying are in America so the American economy doesn’t suffer much of a net effect but, now that we’ve moved retail to the cloud – it’s a lot easier to envision a company or companies like BIDU an BABA grabbing market share with superior tech or the simply willingness to sustain greater losses than AMZN can bear and THAT, my friends, is how Amazon has made the entire US Retail Sector, the biggest single component of the US economy – vulnerable to a Chinese takeover! WHAT COULD GO WRONG? Amazon will now deliver packages to the trunk of your car.